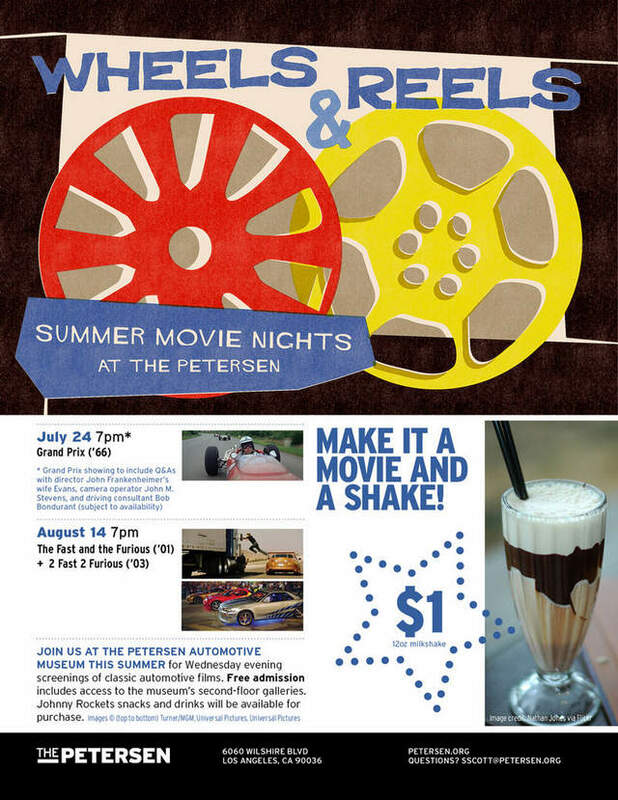 The Petersen Museum has a summer movie night with free screenings of auto-themed films, free museum admission and $1 milkshakes. Grand Prix is being screened this week. Come check it out!